The new signage (pictured below) that will be employed to warn drivers they are entering a Clean Air Zone has been designed by high end creative agency M&C Saatchi Worldwide. Department for Transport officials have so far declined to reveal how much the suite of signs cost to design. Work started on the new sign in January this year, giving some indication of when the Government - which was reluctant to implement charging zones - finally came round to the idea. The quick turnaround and the fact this was a completely new sign prompted the use of the outside agency. 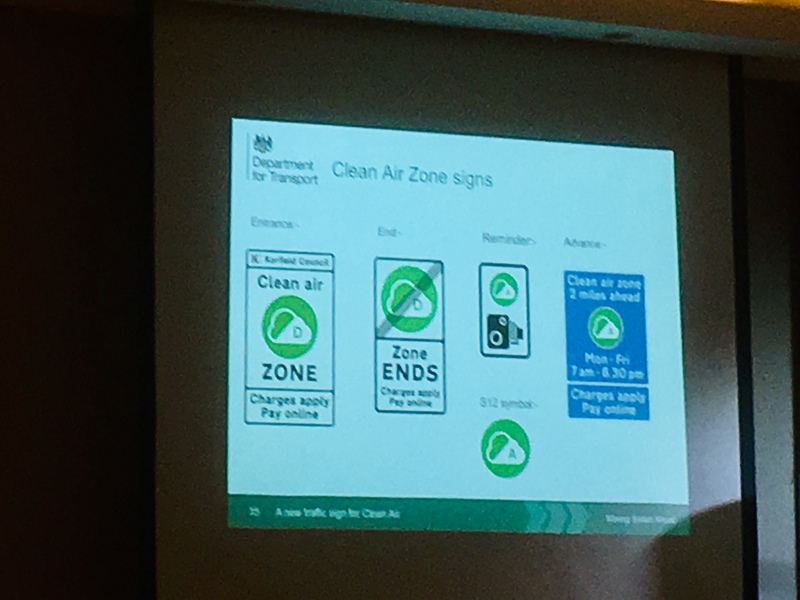 The chosen design has been agreed by DfT and environment department Defra and represents a recognisable clean air logo. Officials said they wanted to avoid negative images. Five cities have been required by government to introduce a Clean Air Zone by 2020. These are Birmingham, Derby, Leeds, Nottingham and Southampton. In each of these areas, the plan for the zone must be signed off by environment department Defra, then the transport secretary must sign off the use of the new signage, as these signs are not prescribed i.e. not detailed in the Traffic Signs Regulations and General Directions. There will be two types of Clean Air Zone: non-charging and charging. Leeds is planning to implement a charging zone, although at least one other city is expected to implement one. In a non-charging Clean Air Zone, a range of measures can be used to incentivise the use of ultra low emission vehicles, include retrofitting certain vehicles; traffic flow management and preferential parking treatment.